An adoption is the legal process which establishes a parent/child relationship between people who are not related by blood. 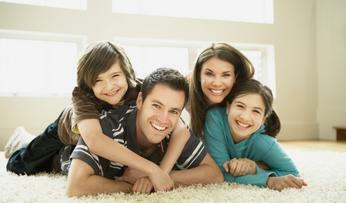 The most common type of adoption is when one parent remarries and a stepparent wants to adopt their stepchildren. But there are many different situations. Our office handles adoption cases in the State of Missouri, and we would welcome an opportunity to help you with your case. Give us a call today to schedule an appointment. A paternity action is a legal process where a Court establishes the identity of the genetic father of a particular child(ren) by ordering certain individual(s) to take a DNA test. There are many reasons to file a paternity action. Once the Court establishes paternity, it may order the genetic father to pay child support, carry health insurance on the child(ren), establish custody/visitation rights, etc. An action may be filed by either parent. If you are seeking to establish paternity to get support for your children or to get visitation rights to see your children, give our office a call today and let us assist you. Getting a divorce can be very painful and cause alot of emotional and physical stress. Mr. Lewis has been handling family matters for over 30 years and can help guide you through the process of obtaining a divorce. Where do I begin to get a divorce? At the initial consultation, the strengths and weakness of your case are discussed and a determination of the course of action that should be taken to protect your rights, your property and your money, all of which is centered around your children. We begin the process by preparing to negotiate as well as litigate the problem. A good settlement is best negotiated from a position of strength. However, it takes both sides to settle a case. First a petition is filed with the court that has jurisdiction over the matter. Your spouse will then be served with a copy of the petition or he/she may sign an Entry of Appearance. After service, the petition must be on file with court for 30 days before it can be set for hearing. If the matter is not contested, a settlement agreement can be prepared and then set for a default hearing. If the matter is contested, it is likely that discovery will be exchanged and then the matter set for Trial. A contested dissolution can be very costly. This is a situation where both parents share the decision-making responsibilities and physical custody of the minor child(ren). It allows both parents to have an active role in their child's life, and grants both joint access to the child(ren). In this scenario, a Court awards sole custody of the child(ren) to one parent. The custodial parent has the decision-making responsibilities and physical custody of the child but the non-custodial parent may still have visitation rights (the right to visit the child at specified times). If you are not satisfied with an existing child support order or you want to change the custody arrangements with your children, contact our office today. CALL US AT 816-421-4075 FOR A FREE INITIAL CONSULTATION!